Real Madrid have reportedly placed a £51m price tag on South American James Rodriguez’s head, with Unai Emery’s Arsenal among the clubs trying to land him this summer. The Colombian star has been on a two-year loan at German giants Bayern Munich from the Santiago Bernabeu outfit but had hopes of returning to Los Blancos this summer. However, Zinedine’s arrival as Real Madrid coach will scupper the 27-year-old midfielder’s plans and he now faces a decision regarding his next move. Die Roten have an option to land the player for a cut-price £36 million when James’ loan deal comes to an end. But should he decide to depart from the Bundesliga, Real Madrid are set to importantly hike up Rodriguez’s price in order to increase summer transfer budget, according to El Confidencial. Real Madrid chiefs want £51m for the playmaker but would be ready to accept offers closer to £43 million. Whether Gunners’ budget could stretch for such a huge outlay is unclear, but Rodriguez is viewed as a possible replacement for the outgoing Wales international Aaron Ramsey. Bayern Munich may well seal a deal for him, however, and have until June 15 to get the potential transfer over the line. 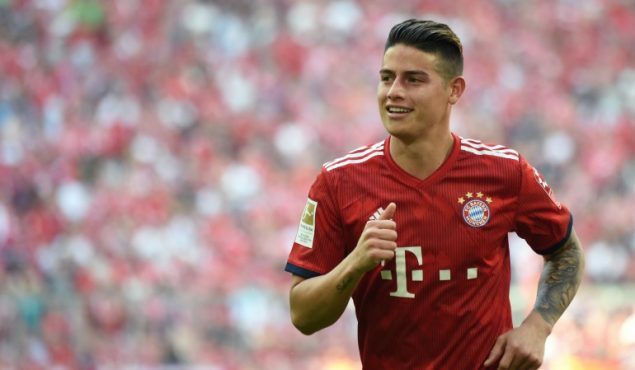 Die Roten CEO Karl-Heinz Rummenigge recently claimed that he would like to see the star return to Bavaria, but there are some lingering doubt regarding whether the Colombian midfielder wants to spend the next stage of his professional career in Munich. While he has often spoken diplomatically about Bayern Munich in public, what happens behind closed doors at the club is said to be different.